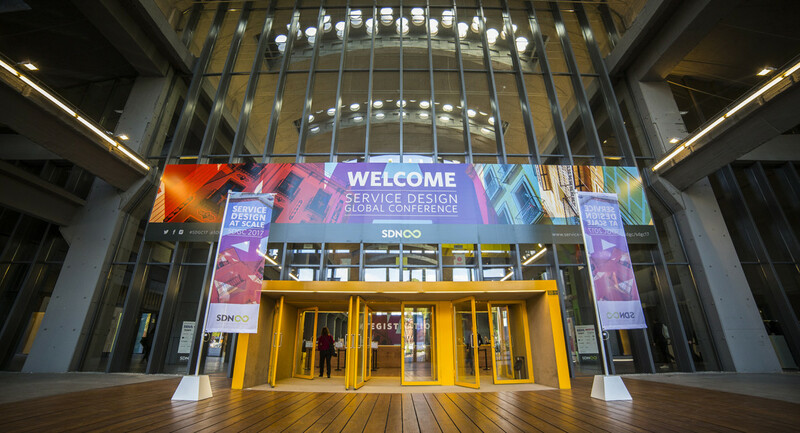 The Service Design Global Conference took place on November 2 and 3 in Madrid, celebrating its 10th anniversary. This year we were joined by 700 guests from 44 countries, making this a truly international event. We were delighted to host 44 presentations, 12 workshops and 80 speakers from around the world. The official programme was complemented by an extensive offer of side-events, with the much anticipated exclusive SDN Members Event on November 1. Service design has moved beyond the basics, from sketchbook to spreadsheets, and is now not so unusual as a business practice. Non-designers and designers alike are embracing the mindset that service experience matters, that we can no longer work in silos, that customer value and business value need to be balanced, that we need to move quickly, but be aligned and have a clear picture of what we’re trying to achieve. In essence, we are taking Service Design to new levels. The next step forward is to deliver Service Design at Scale. Through continued practice, widespread capability building, and successful implementation of service strategy and execution, the face of organisations is changing to deliver great experiences for customers and employees, and business impact for the organisations that deliver them. Looking for SDGC17’s presentation slides? – Have a look here. Recap the conference in SDGC17’s picture gallery. The SDGC17 video material is available in this YouTube Playlist. What are the changes of me getting a ticket on waiting list?